Our "Basic" frame package for the Build.com image, as shown above, includes: acid-free foam core backing, archival double mats (Warm White top mat and Raven Black bottom mat; 2 3/4" overall viewable width, 1/4" reveal of bottom mat), standard plexi-glass, and a 1" smooth black, gesso coated wood frame. For other framing options, contact us. 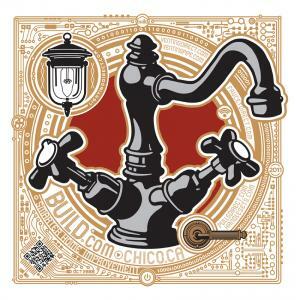 This artwork was commissioned by Chico's success story, Build.com. 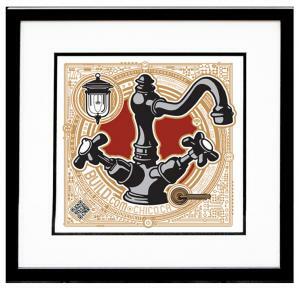 It was created for the company employees, with 50 images sold directly to Build.com. 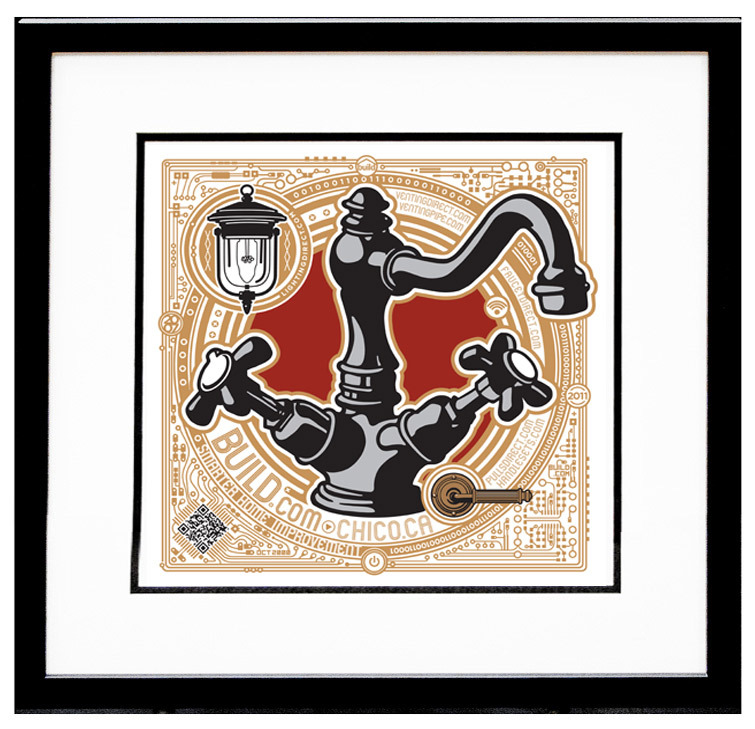 We were granted permission to sell 5 of these serigraphs at Jakeearlyart/Chico Paper Company.